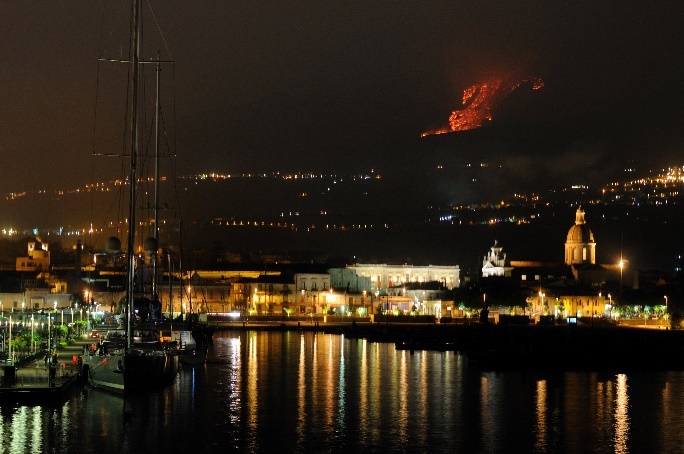 Try to imagine a volcano as a natural phenomenon. You can either admire its symmetry from a distance or climb to the top; however, you can never forget about its destructive power at the same time. Living in volcanic or tectonically active areas, the people there have got used to the ever-present danger of volcanic eruptions and earthquakes. Thanks to the development of monitoring systems directly interconnected with public early warning systems, threats to the safety of life or property damage can be eliminated to a certain extent. Tectonic Activity – What Is Behind? For millions of years, Earth has been created and changed by geological processes. Its outer surface layer is broken into several tectonic plates that are in constant motion. The shifting of plates releases kinetic energy (under certain conditions even accompanied with magma release), which results in events threatening the local population, such as earthquakes, tsunamis, or volcanic eruptions. These sudden natural or man-induced tectonic activities represent a complex of earth-changing processes which may occur separately or come all together at once. Adequate early warning systems in residential or industrial areas can mitigate the destructive effects of the natural disasters mentioned above. Historically, we can find many examples when hundreds to thousands of people died because they had not been previously warned, but hit by the effects of natural disasters. Nowadays, there is an international network of monitoring and controlling institutions that closely examine and monitor tectonic areas and adjacent regions. If any significant deviation occurs, which may put the population in danger or endanger the environment, economy, or transportation, these institutions immediately contact the relevant authorities or even emergency management agencies so that they can take the appropriate measures. Nevertheless, the reliable monitoring systems constitute only one part of the efficient emergency system. More importantly, good communications between the monitoring and early warning system must be ensured. Modern electronic sirens are another part of an efficient public warning and emergency system, addressing all people in an endangered area immediately and directly, including these who are out of reach of any other modern devices (such as smartphones, the Internet, or TV). All Telegrafia’s sirens are equipped with backup batteries; therefore, they are fully operational even after a power failure. Depending on their configurations, warnings are issued in the form of pre-recorded alarms, bespoke messages or live voice microphone announcements. Buildings can be protected using the Amadeo PA systems, and the adjoining areas using mobile Pavian or Screamer CAR sirens. 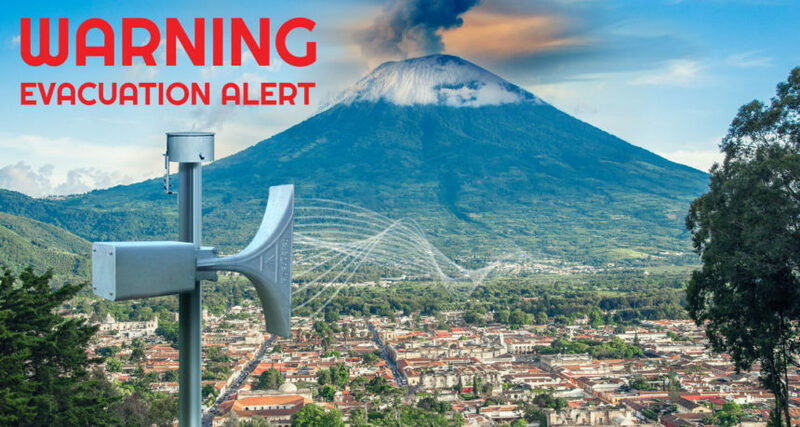 Telegrafia offers its customers in vulnerable regions complete earthquake, tsunami, and volcano warning solutions with full power backup, connection to monitoring sensors and auto-testing functions. We all know that reliable early warning systems are of crucial importance in emergency situations.